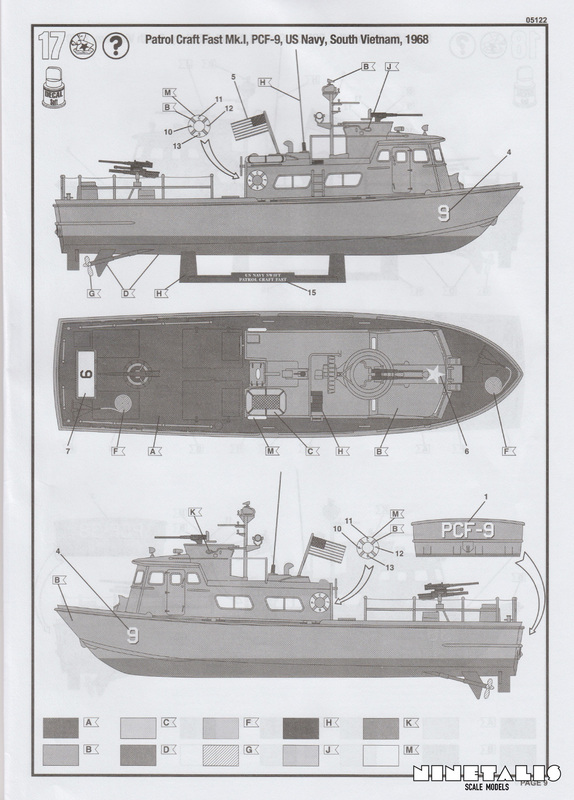 The PCF Swift Boats were 50-foot (15 m) long shallow-draft vessels, constructed completely from aluminium. Armed with twin .50 caliber machine guns and a 81mm gun, it was initially build to patrol coastal areas. It assembled its fame serving during the Vietnam war, interdicting enemy movements, transporting allied Vietnamese forces and inserting SEAL teams for counterinsurgency purposes. 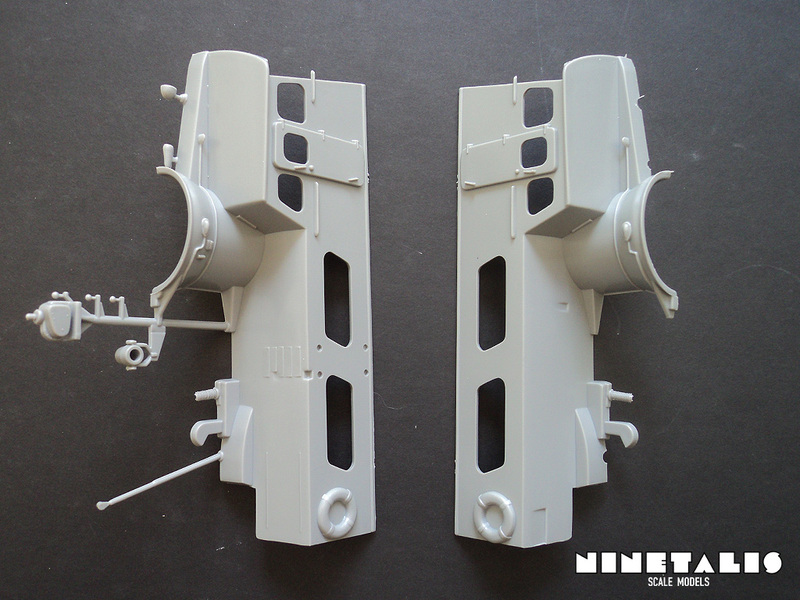 Three variants were build, the Mk I (as depicted in this kit) which is distinguishable due to the sliding windows in the aft of the superstructure, the Mk II which is recognisable by the round windows in the aft superstructure and the Mk III which was a bigger version of the Mk II. In total 104 mark I boats were build. The boat also saw usage with the navies of the Philippines (and its Coast Guard), Panama, Malta, Thailand, Vietnam and the Khmer republic. Some boats also found their way in civilian usage, like the R/V Matthew F. Maury operated by Tidewater Community College in Virginia Beach, which is used as a oceanographic research and education vessel, and is the only operational Swift boat remaining in the United States. This article is partially based on information found at wikipedia, 3rd july 2015. 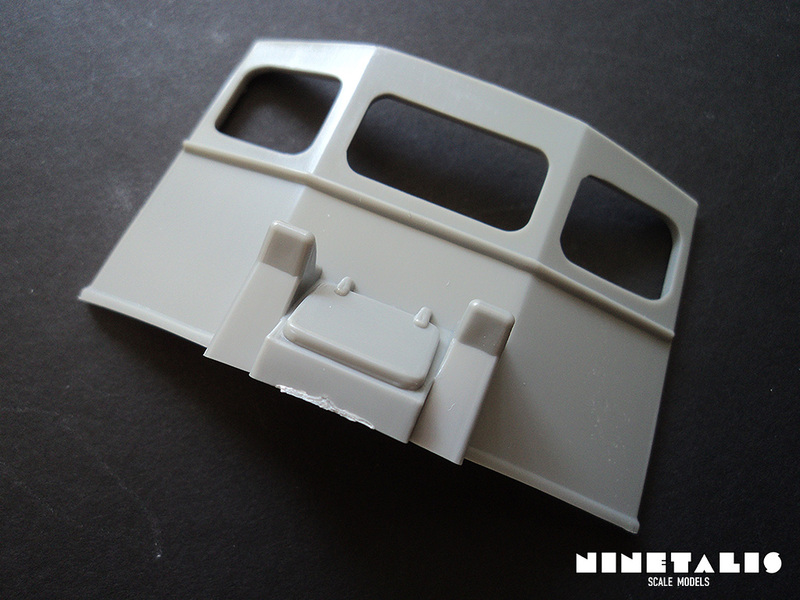 As mentioned before, the kit provides parts for the Mk I of the PCF. As with many older Monogram kits, the parts are put around the frame, instead of a frame surrounding them. Detail wise, the parts are okay, although some choices are quite questionable, like the placement of half a life buoy on both sides of the superstructure, or the anchor and rope which are molded onto the deck itself. Although most parts are quite basic looking, they should be very easy to work with. The fit of the parts also seem to be quite good despite the age of the kit. 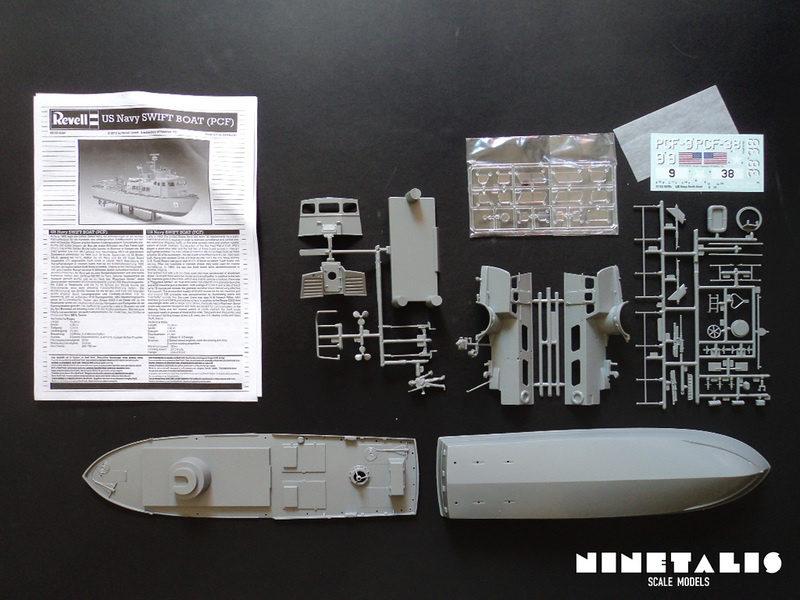 The hull and deck of the kit are folded separately and do not have any sprue holding them. Unlike the other frames they do not have any traces of flash. On the deck we find some parts that are molded directly on it, like a rope and anchor on both the front and end of the ship. On the aft deck we also find a container, which is molded shut. The superstructure of the swift boat is divided into four parts. 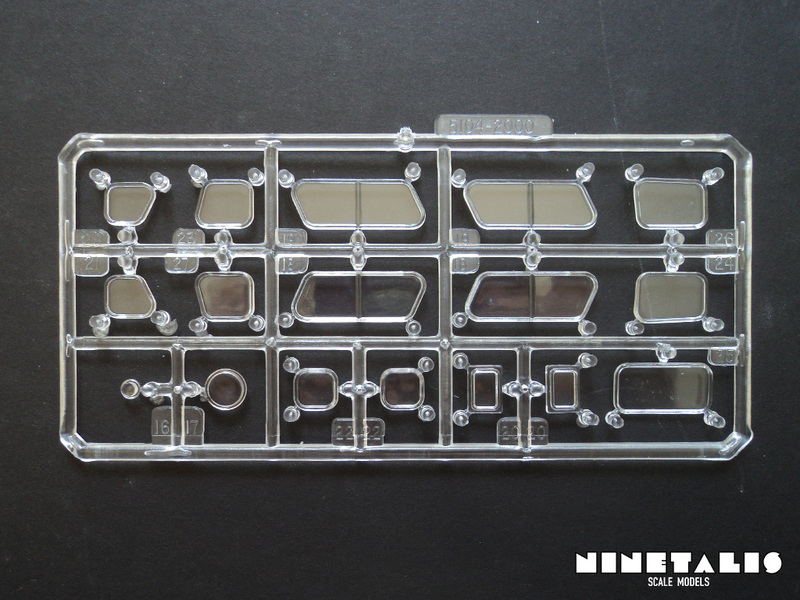 You have left the right and left side, but also the front and back of the superstructure which you can find on the next sprue. The left side of the superstructure differs from the right side, as it features the antennas, navigation and search lights and the flag pole. 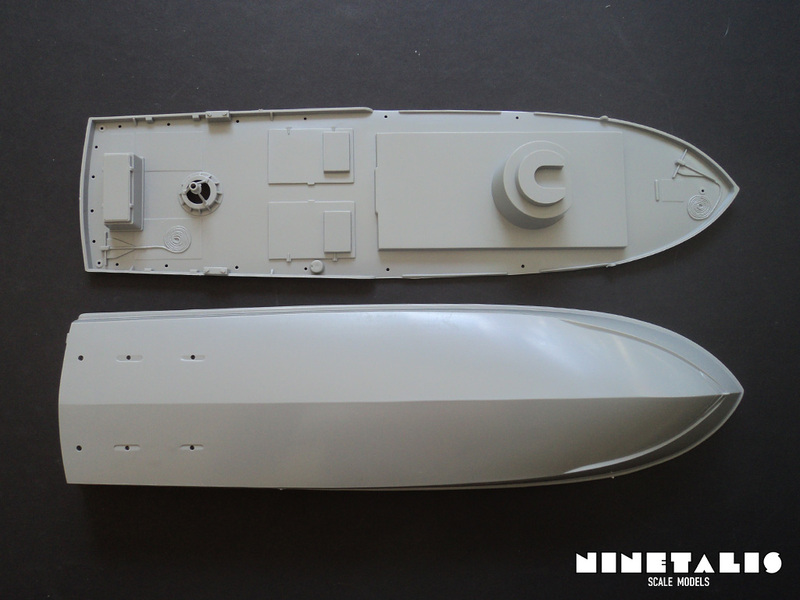 The age of the kit already shows on these parts, as the life bow… and the door is folded onto the part itself, and gives you no possibility to display the front cabin of the boat if you would wish to do so. 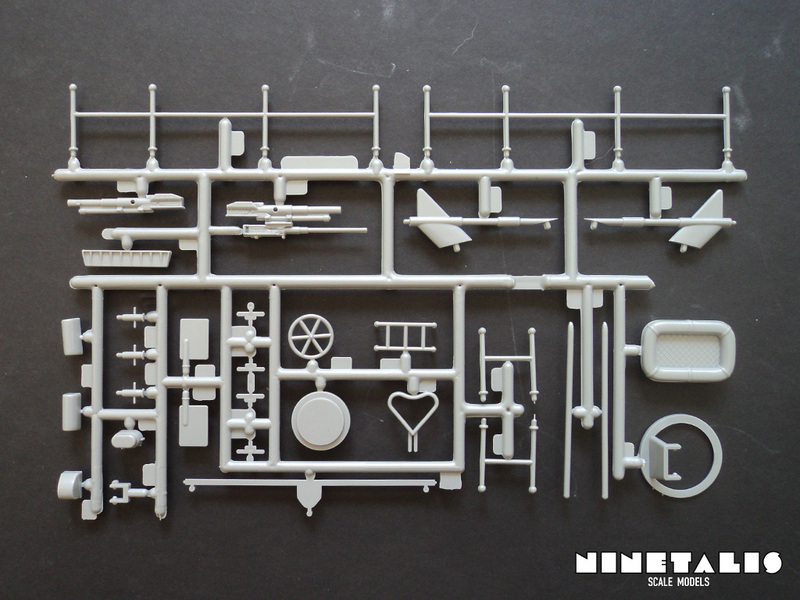 The first sprue is features most of the large parts in the kit, as the front and back side of the superstructure. Here again we find the doors and hatches molded shut, and takes away the possibility to display these parts open if the builder so desires. 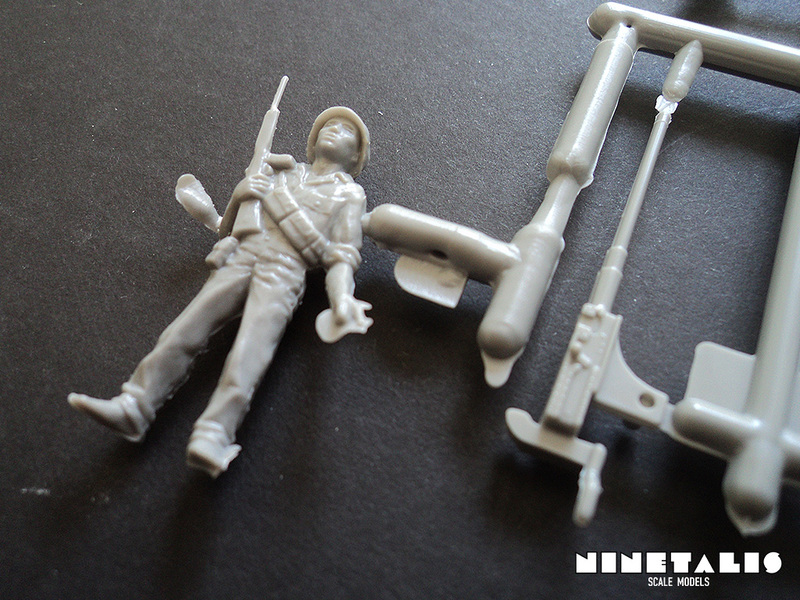 We also have the two propellors, two .50 call machine guns, a railing and a soldier holding a rifle, which is quite detailed given the age of the kit. The parts have some traces of flash, but most of it is not as bad as on the frame itself. 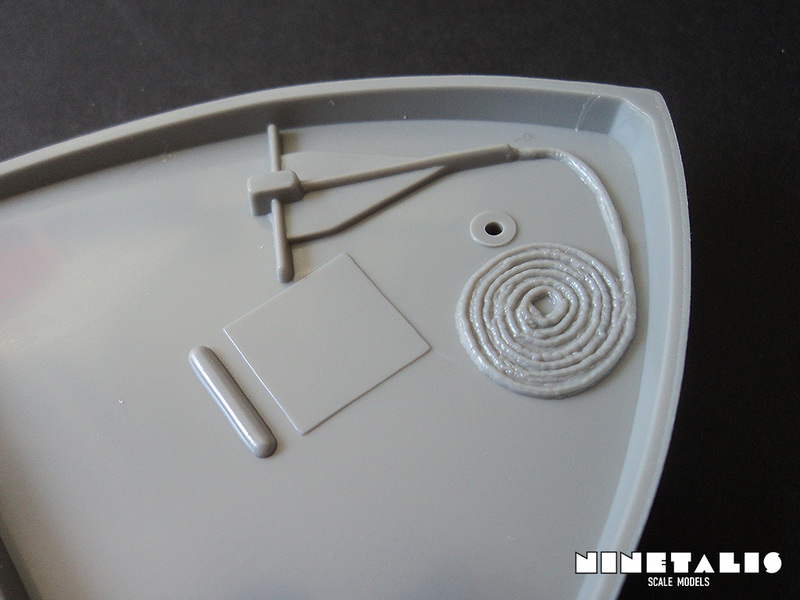 The last part on the frame is a display stand on which the model can be placed once finished. 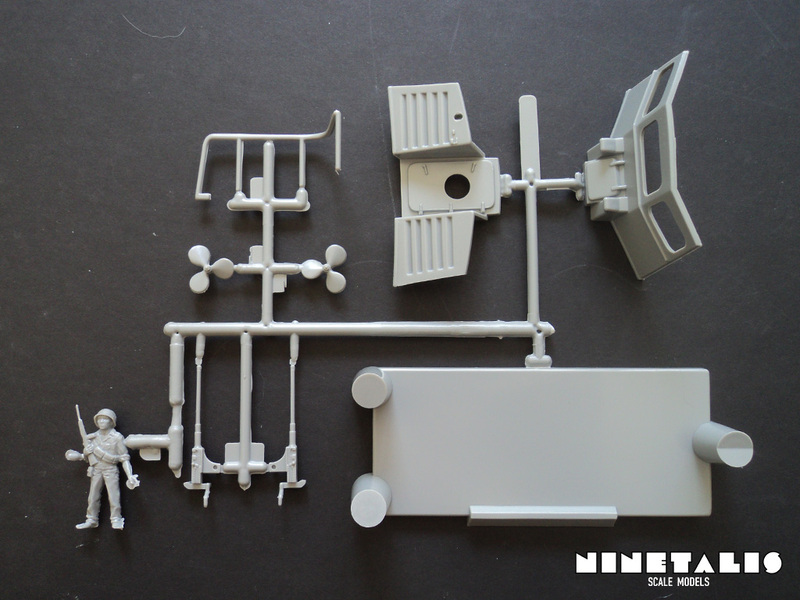 The second sprue holds all of the smaller bits of the kit, like the gun mountings, a 81mm gun, the side rails, the life boat, the rudder, propeller holders and other things. Although most of the frame itself features large areas of flash, the flash that can be found on the parts itself is far less grave. Some parts actually do features some nice amounts of detail, like a pattern that can be found on the bottom of the lifeboat. 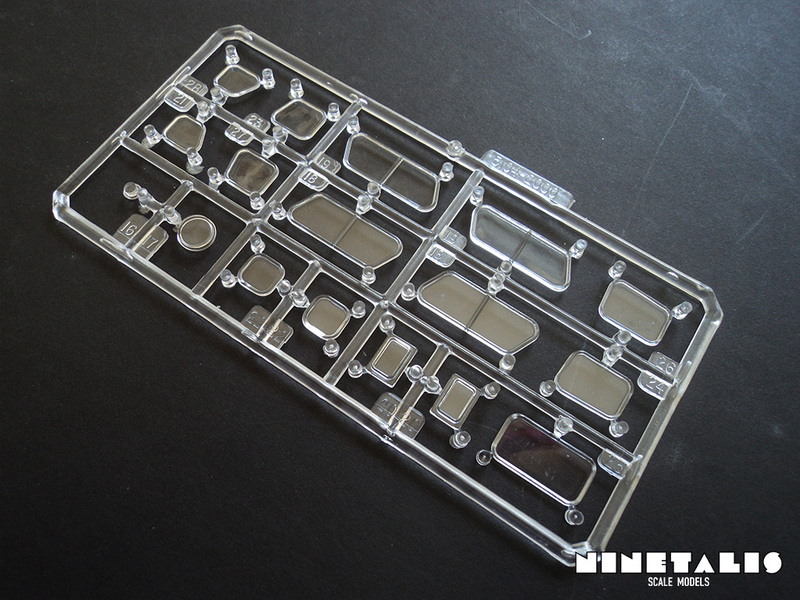 The clear sprue is the only sprue that does not seem to suffer from any traces of flash. 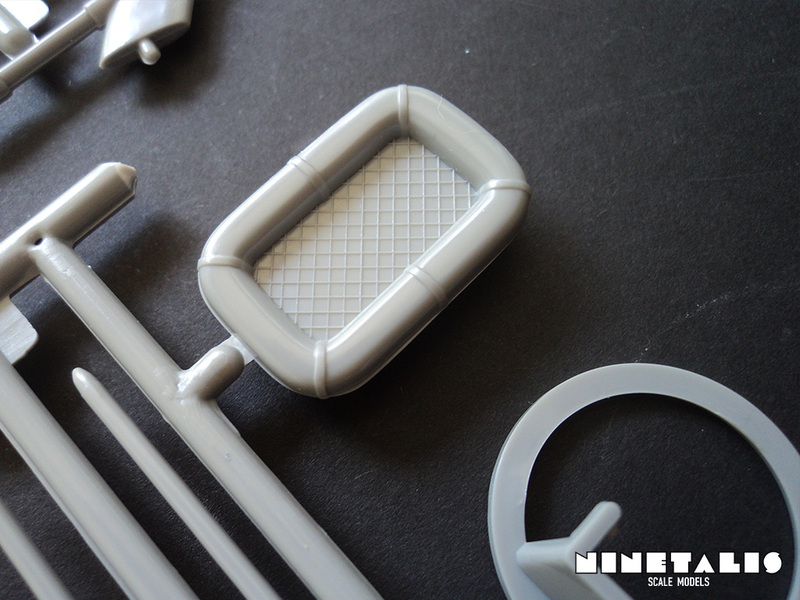 They actually look very well molded and no scratches or any other kind of damage can be found on the parts. They also feature large areas to glue the windows in place, so installing these during the build should not prove to much of a challenge. The decals are pretty much completely the opposite of the rest of the kit. They seem to be printed rather well and are most likely recently designed. However, there are no stencils on the decal sheet, although I’m not sure if there are any on a PCF ship and how bad your ship looks without them. 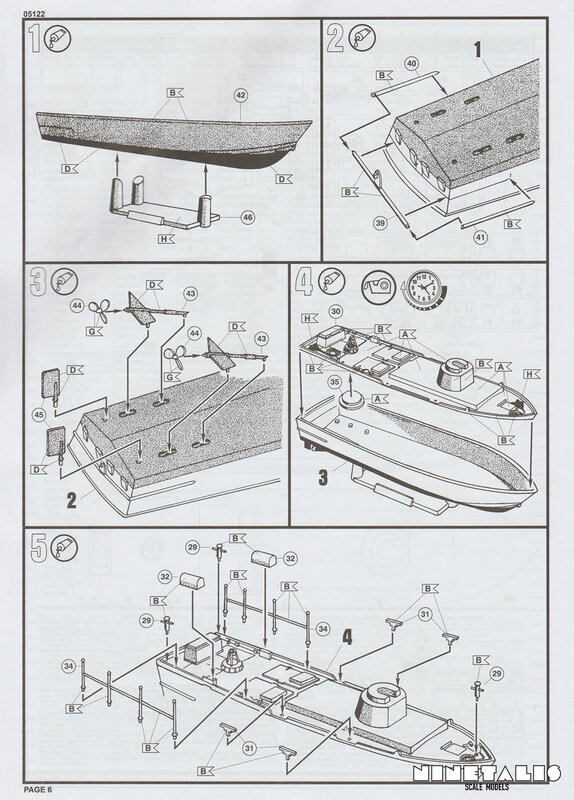 The instructions are printed in true Revell fashion, printed onto a A4 sized booklet. The illustrations are obviously dated, and taken from the previous boxings of the kit. Despite their age the illustrations should not prove troublesome, as the instructions are spread out over sixteen individual steps. 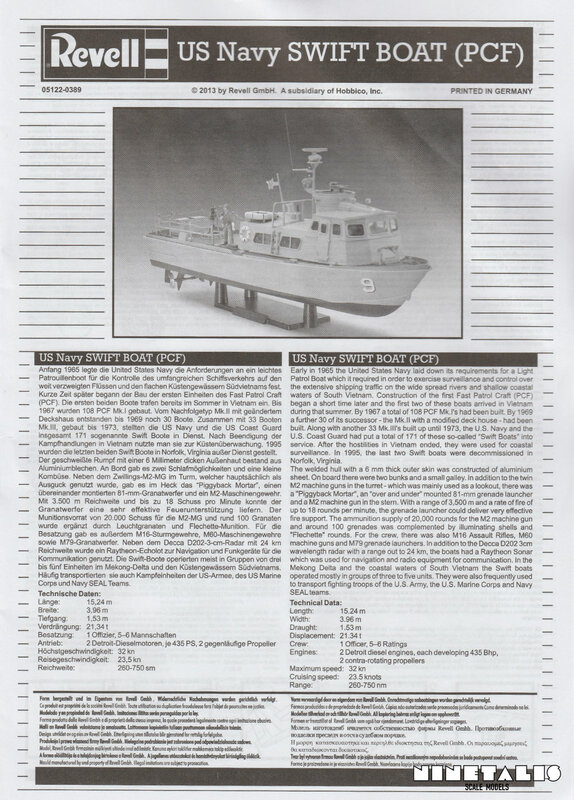 For those who are in need of the instruction sheet, or just want to take to look at the complete instructions booklet, you can check it out here on Revell’s page. The kit provides us with two marking option. 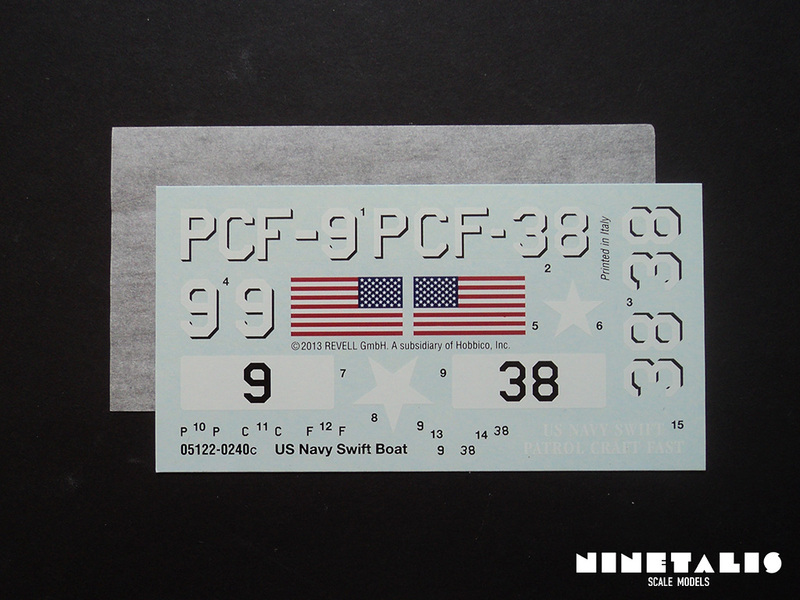 The first being PCF-9 which is depicted on the box cover somewhere during 1968 in South Vietnam. 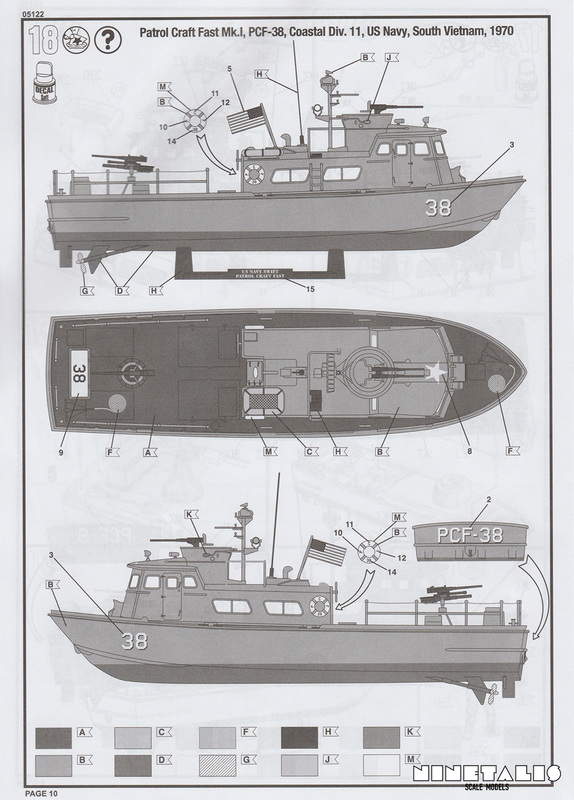 The second option is PCF-38 which was part of Coastal Division 11 in 1970. Most likely the markings were derived from the picture I’ve found below, where you can see PCF-38 patrolling the Cai Ngay Canal in South Vietnam in April 1970. You can also see some of the typical weathering on the ship, on which a green-yellow base coat seems to be underneath the gray paint. It should give some of us enough inspiration on how to weather our PCF if wished. The only thing that stands out here is that some antennas seem to be missing from our kit and also a flag of the State of California. Well let’s be honest, this isn’t the most modern kit out there. It is actually quite old and it shows. 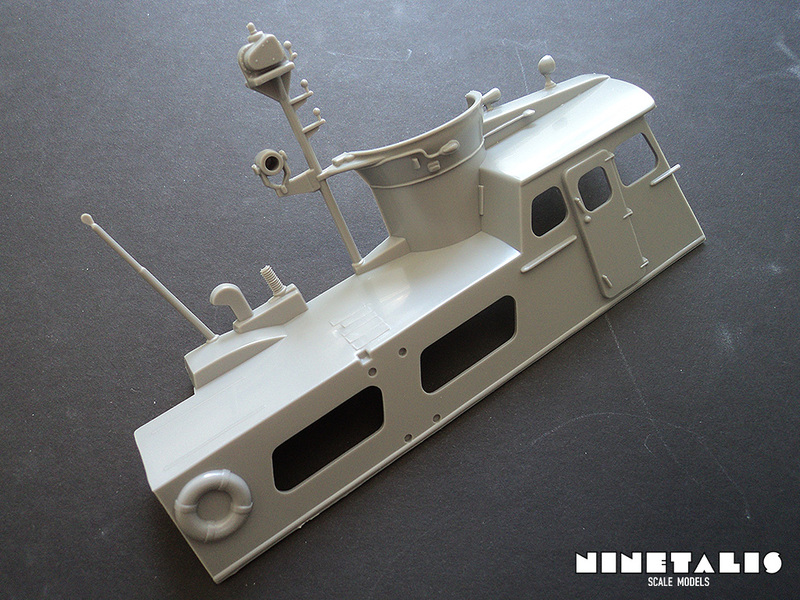 However, this is a quarter scale ship for a really soft price, which isn’t something you get to see every day. Due to the low amount of detail (as the ship itself doesn’t have many small details), it is a great base to work on if you like to scratch build. It is also a great way to take a step away from our more usual aircraft builds (if you keep yourself true to the 1/48 scale). 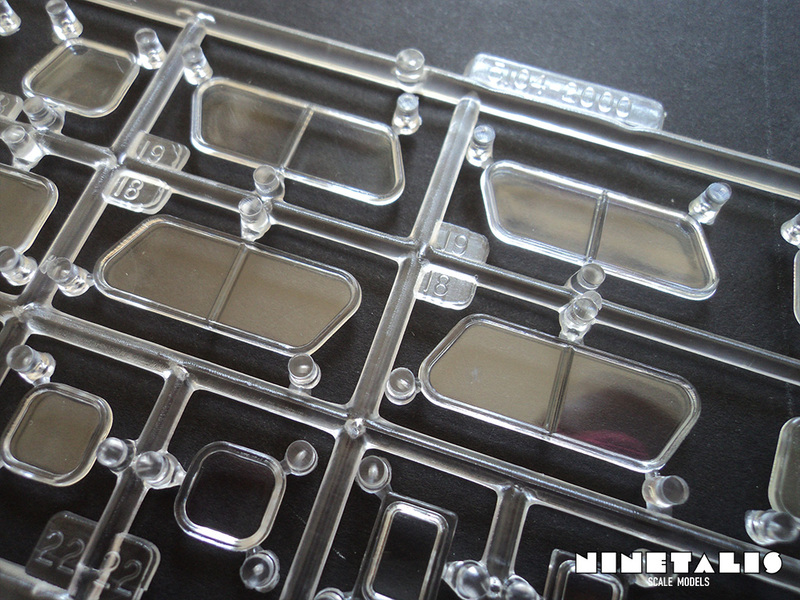 Despite the age of the kit, the fit seems to be good and the clear parts also seem to be easy to instal. 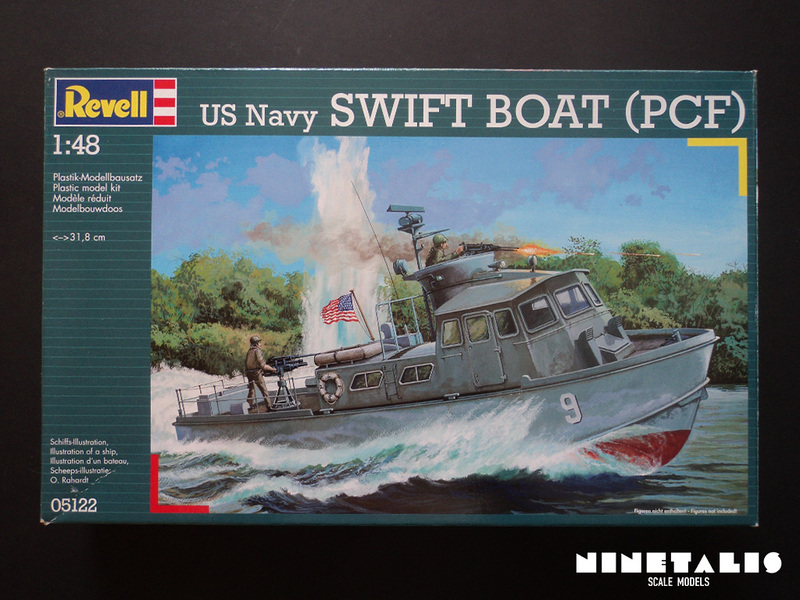 If you want to make a fully accurate Swift Boat you’ll have some work cut out with installing small bit and do-thats here and there, but with a bit of work and dedication, you can make this diamond in the rough shine!